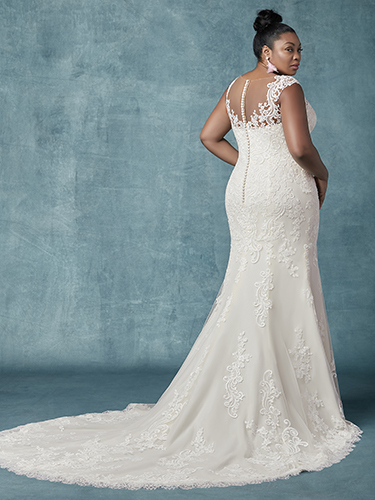 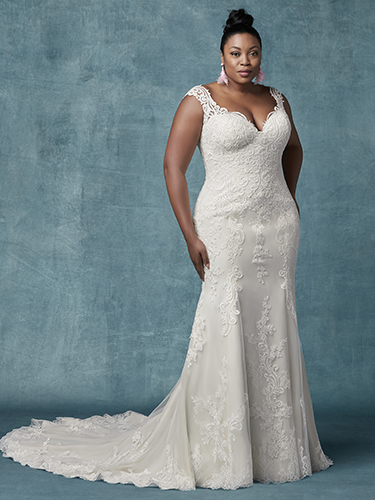 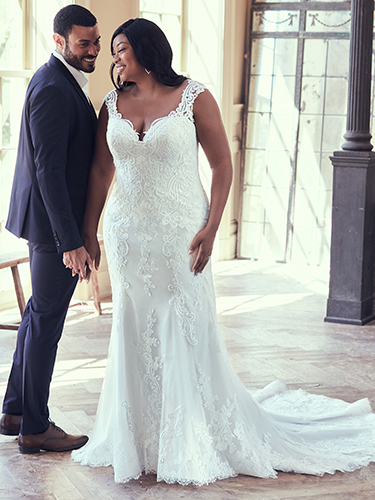 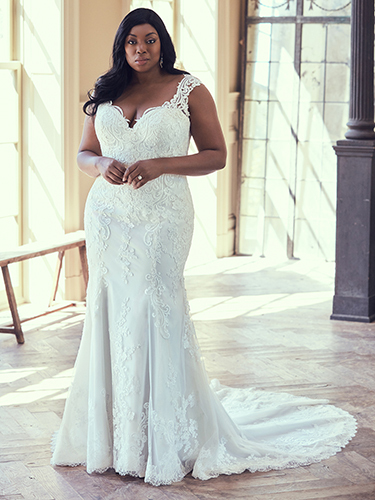 Wedding Dresses Plus Size Collection by Maggie Sottero. 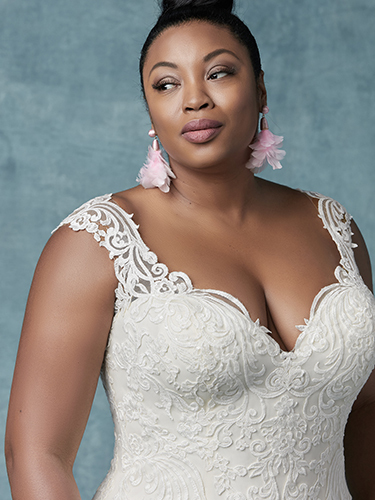 This romantic sheath wedding dress featuring soft lace motifs atop tulle, completing the sweetheart neckline, illusion cap-sleeves, and illusion back. 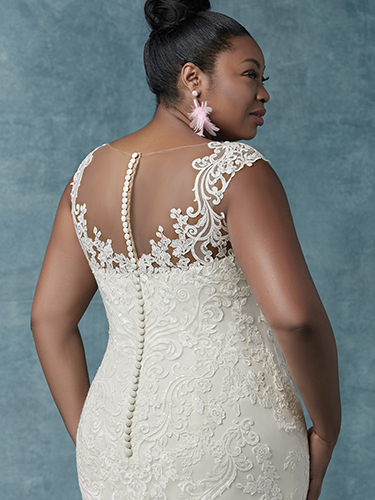 Finished with covered buttons over zipper closure. 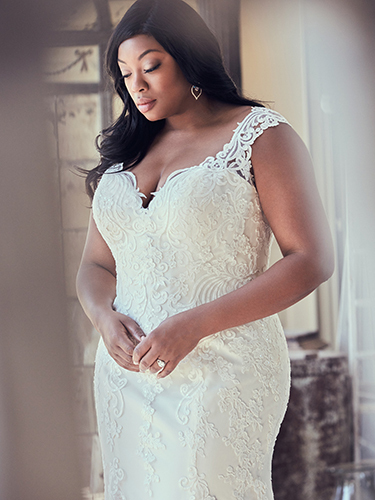 Available in Antique Ivory or Ivory over Blush (pictured).